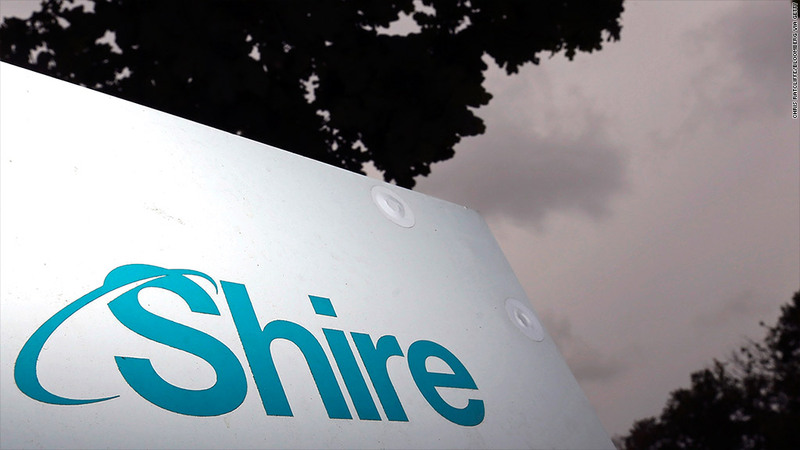 AbbVie's purchase of Shire will allow it to shift its legal home to the UK and cut its tax bill. Chicago-based AbbVie announced an agreement on a $54.7 billion merger with Britain's Shire designed to slash AbbVie's tax bill by moving its legal home out of the United States. AbbVie (ABBV) will cut its effective tax rate to about 13% by 2016 from 26%. The combined company will keep its headquarters in Chicago. Its shares will trade in New York, But its legal home will be in the United Kingdom. A U.S. company can't simply relocate to nations with lower tax rates to avoid U.S. corporate taxes. To get the lower foreign tax rate, it must use a process known as "inversion," in which a merger leads to a foreign partner owning more than 20% of the stock in the combined company. Treasury Secretary Jack Lew this week urged Congress to stop the strategy. "Congress should enact legislation immediately ... to shut down this abuse of our tax system," Lew wrote. The practice is becoming more common. The Congresional Research Service issued a report earlier this month showing 47 companies using inversion to cut their tax bill in the last decade, up from 29 during the previous 20 years. Drugmaker Mylan (MYL) announced a deal this week to buy a non-U.S. unit of Abbott Laboratories (ABT) designed to let it incorporate in the Netherlands. Pfizer (PFE) tried a similar move earlier this year, but its bid was rejected by British drugmaker AstraZeneca (AZN).